First, ancient Greek drama gave us Hercules, the courageous mortal-turned-God. And now, hundreds of centuries later, a non-ancestral Colorado-raised impresario using the same handle currently dominates America’s sullied dance floors. As the reluctant brainchild steadying Hercules And Love Affair’s self-titled debut (DFA Records), techno warrior Andrew Butler has risen out of the windswept Southwest plains to acquire exalted club status in the Big Apple. Encouraged by a teacher to do notation, Butler began constructing Classical piano-based compositions at a formative stage. At age twelve, the green pre-teen maestro purportedly discovered electronic music through Yaz’s ’82 new wave/disco smash, “Situation.” Soulfully sung by compelling British singer, Alison Moyet, its sleek flashiness and debonair seduction totally inspired the young obsessive musical architect. He became doggedly determined to streamline “Situation’s” luxurious New Romantic synth-pop extravagance. Before putting together Hercules And Love Affair, Butler gained a solid reputation as one of Denver’s most respected club DJ’s, experimenting with synthesizers and getting fully into dance music. Although he still enjoyed the nightlife, he temporarily shifted focus away from the discotheques and back towards classical arts during his tenure at Manhattan’s prestigious Sarah Lawrence College. While living in New York City, Butler befriended Hawaiian-born jewelry designing acid house DJ Kim Ann Foxman (hostess of lesbian nightclub soiree Mad Clams at the Hole). Eventually, Antony Hegarty (of renowned transgendered glam mopers Antony & the Johnsons) and native New York singer Nomi Ruiz got acquainted and these colorful pals helped conceive Hercules And Love Affair. Butler swears he knew Foxman was “on the same page aesthetically” from the get go. And he quickly realized Nomi’s positively illuminating voice was a stunningly radiant asset uncannily reminiscent of Moyet’s crystalline alto. A large coterie of house music denizens sniffed out the 12″ version of exotic electromagnetic mantra, “Classique #2,” prior to it being featured in long-play form. On it, Foxman infrequently inquires ‘do you really want me?’ in a recurring sultry soprano left floating inside the heavily cadenced beat-driven theatrics. 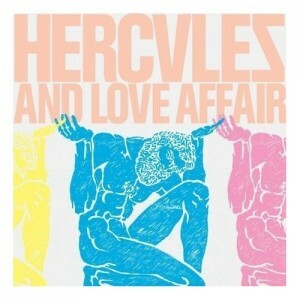 But inarguably the biggest draw in Hercules’ studio stable is unconventional underground celebrity, Antony, whose darkly reflective quaver brings melancholic eloquence to lilting opener, “Time Will.” His velvety androgynous tenor also buttresses “Blind,” a disco-beaten rumba given a snazzy treatment suggestive of Patrick Hernandez’s bustling ’78 dancehall hip-shaker “Born To Be Alive.” Its engrossing horn-ridged bass-boomed orchestration compares favorably to an innovative disco icon Butler holds in high regard – Italian techno-pop pioneer Giorgio Moroder, a forward-thinking producer whose clever manipulation of electronic studio gear, tape-looping machinery, and Epicurean faux-string adaptations preconceived the entire ‘80s club landscape that followed. He continues to be emulated by enthused modern day maestros. The bleating, bleeping, and braying intonations securing “Classique #2″ edge close to the ample sidelong suites Moroder inaugurated for libidinous black diva, Donna Summer, disco’s primary glamour goddess. Yet Butler shrugs off the thought of any thematic conception being put in place for Hercules entirety. 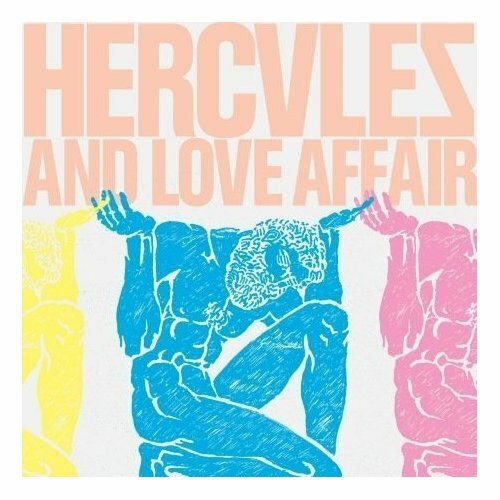 While the easier-to-grasp hook-filled tunes strengthening Hercules front load score higher than the gratuitously noir-ish backend retreats, the expansive retro-futuristic experimental jams at album’s end do at least create an irrepressible rudimentary groove. Still, it’s hard not to be more impressed with the dazzling three-four punch of “You Belong” and “Athene.” The former features Nomi’s fluctuant scale-bending vocal scheme weaving in and out of a syncopated rhythm and the latter finds Foxman, setback in the mix, simmering invariably through a pleasingly percolating percussive pulse.